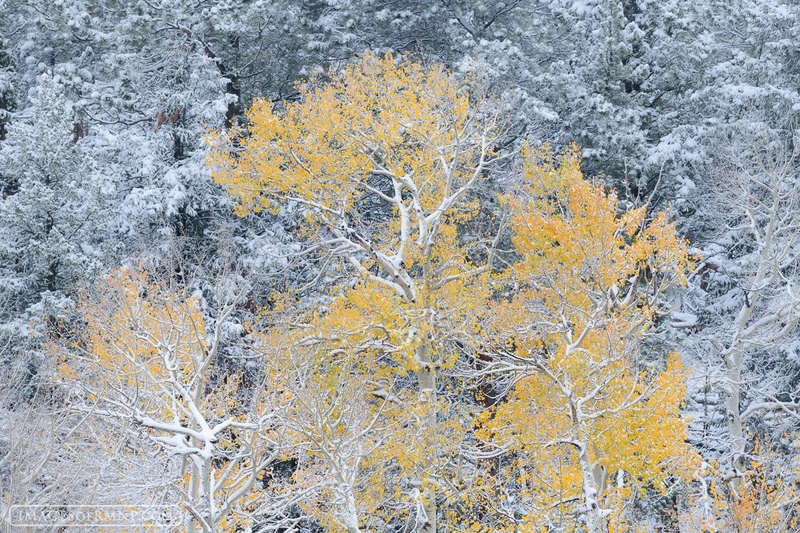 An aspen tree lifts its branches to catch the first snowflakes of the season. Like a child experiencing their first snowfall there is a sense of joy and wonder at the way the world has been transformed overnight. The fresh white coat makes the aspen all the more brilliant. It is almost as if the winter is trying to honor the autumn in a grand changing of the guard. Photo © copyright by Erik Stensland.